BATTLE OF ARHEM EDITION, september 1944. Especially the often disfunctioning of the used radio nets, not technical function or design of the radio sets, with some history, which was important to understand this. about the progress in the first days, also some text in the post Wireless set no 76, receiver R 109 and Wireless set no 38. Note, that this part is constantly under construction, because still more information about this, is comming in. so in trying a good story of it. Many stories about bad working radio sets, written by writer after writer, during some 30 years after the war, were very negative, the radio’s and radio nets should failing completely, which was often very untrue and based on poor examined information. 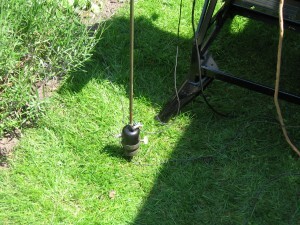 Especially in the beginning of the operation, the radio nets were working very well. In the last part, they were not so well anymore, but because of many reasons. That such a false picture might have been painted quite intentionally by writer after writer in the absence of informed criticism is not difficult to understand, particularly if a study is made of a quite different but closely related aspect of the operation which was entirely wrongly portrayed for some thirty years. The operational strength of the 1e Airborne Divisional Signals was 18 officers and 330 other ranks. 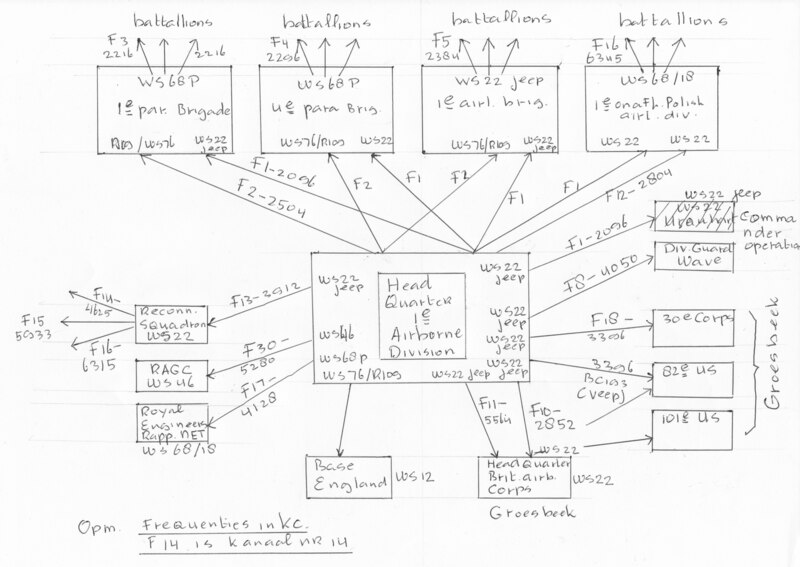 My experience with, for instance the Wireless set no 22 in use at Arnhem, showed that it was a good functioning radio set, good enough to make well contact within his range, depending on what type of aerial was used and what time of day. Waco CG-4A Gliders in Market Holland september 1944, by G. Thuring, a special remembrance book from the Liberty Museum 1944 at Groesbeek near Nijmegen, The Netherlands. Special book about an Exposition in 1991, about the radiocontacts in the Battle of Arnhem, at the Airborne Museum Hartenstein, Oosterbeek, The Netherlands, called “CALLING SUNRAY”, march 1991. Echoes from Arnhem by Lewis Golden. Lewis Golden was present as a signal man at the divisionel headquaters at Oosterbeek in Hartenstein Hotel, during the most critical phases of fighting, and he was uniqueuely placed to observe and to understand what was going on. His book is a kind of bible about what really happened at Arnhem, while in many books a lot of things were discribed as not really true. The Battle of Arhem was the Market part of operation Market Garden. Market, because they were all airborne units. Market: Airlandings units, Garden: Ground Troops. Market Garden started in september 1944, to capture the bridges over the several rivers, canals, between Valkenswaard (Belgium) and Arnhem (Netherlands), like the rivers Meuse, Waal and Rhine, to establish a fast run to the north of The netherlands and the industrial part of Germany, the Ruhr. This, to try making a fast ending of the war. Short overview of the progress of the battle at Arhem in the first days. The bridge over the river Rhine at Arnhem should be captured by the British and the Polish. In the first lift, the 1 st Airlanding Brigade should land on LZ -“S”, north west of Wolfheze. The 1st Parachute Brigade at DZ- “X”and LZ- “Z”, north of Heelsum. The 1st Polish Parachute Brigade should dropped at LZ – “L”, north west of of Arnhem and DZ – “K” south of Arnhem in the second lift. First were the landings and after it, the dropping of parachutists. 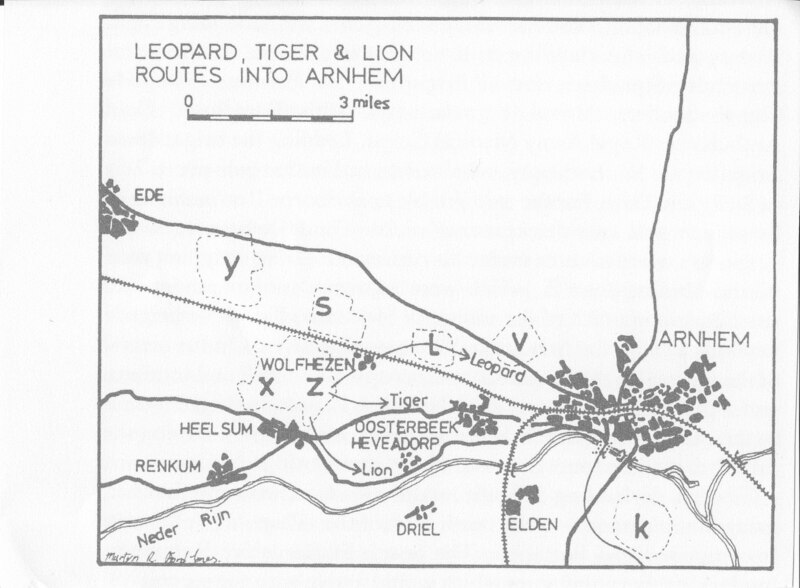 The Droppingzones (DZ)/ and Landingzones (LZ) at Arnhem were S, X, Y, Z., L and K.
On the map below, is to be seen, the overview of the landing and dropping zones. From dropping zone “X”and landing zone “Z”, 3 waves of troops going to Arnhem. These 3 waves did had code names Leopard, Tiger and Lion. The 1e Air landing Brigade was in the first lift at 17 september, and had the task of protecting the landing zones and dropping zones for the second lift. In the 2nd lift, one day later, the 4th Parachute brigade and the 1 Polish Parachute Brigade should come. Because of bad weather in England, they were delayed for 5 hours. The 1e Parachute Brigade consist of 4 brigades, the 1 st , the 2nd and 3th battalion. Also the 1st Polish Parachute Brigade should assist as a 4th battalion, but came in the second lift. Another special group, the Reconnaissance Squadron was also a part of the 1st Parachute brigade. This unit came also in the first lift. This Squadron had the task to go to the bridge as fast as possible with jeeps to capture it by surprise and hold it, till they should be relieved by the 1 Parachute Brigade, which went on foot to the bridge. The 1st Parachute Brigade should march on to Arnhem in these 3 waves. The 2nd battalion should hold the the bridge for 4 days after capturing from the Reconnaissance Squadron, while the 3th battalion was to assist by approaching the bridge at the north. The 1st battalion was to occupy the high grounds, north of Arnhem. They went by wave code name Leopard. They were on the left flank and passed through Wolfheze to the main road running from Ede to Arnhem. The 2 nd battalion went by wave code name Lion, passing the villages Heelsum and Heveadorp and then through the most southern part of Oosterbeek. The 3th battalion’s route was code name Tiger, and went through the centre of the Brigades advance. They went along the Oosterbeek road to Arnhem. But all battalions got heavy enemy resistance, and could not reach the bridge in the first days. The 3 th battalion was stopped less then halfway and had to dig in at Koude herberg. The 1st battalion was held up halfway at Johanna Hoeve. Also the Reconnaissance Squadron did not reach the bridge. Finally the 2nd battalion under major Frost did, by the southern route. Droppings and landings near Arnhem. All the dropped Airbornes and their equipment, heavy weapons in the part Market, went by Horsa- (British made), Waco- (American made) ,Hamilcar -(also British made) gliders and Dakota C 47 airplanes. The British flew by a total of about 700 Horsa-gliders and 13 Hamilcar gliders, while in the whole operation Market, about 2000 Waco CG-4A gliders, from the American 9th Troop Carrier Command, were used. 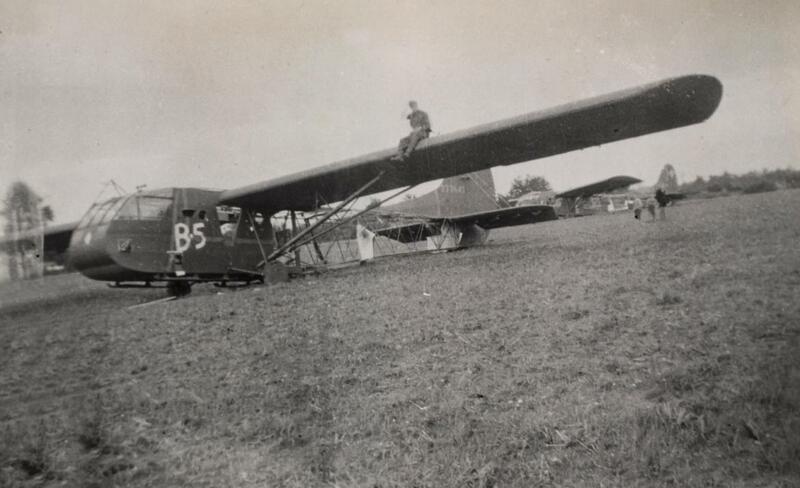 The Hamilcar gliders were bigger and were used also for transport of Airborne jeeps and their trailers, Brenn Carriers and other heavy weapons like the anti-tank cannons, howitzers etc. They could transport more weight then the others. 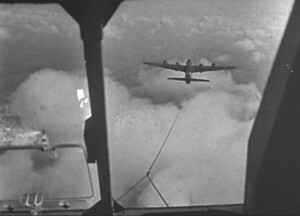 View from a glider towards to the towing airplane, a Stirling plane. Clearly to be seen, the towing cable, which is released from the Stirling, when they got above the right landing Zone. 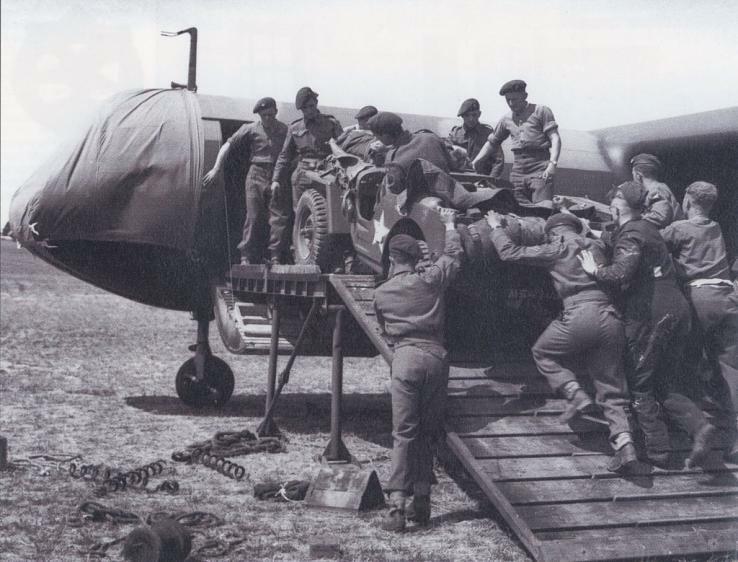 Loading a Airborne jeep into a Horsa glider at a base in England. Airborne jeep with trailer at landing Zone Z, is just leaving the landing zone. Note that the Horsa, did make a safe landing but did make a small crash and was damaged. More gliders made a crash landing at the Landing Zones, because of enemy fire and the fact, that the Landing Zones got very crowdy with these gliders at last, by lack of sufficient free places . The fly-in of a Horsa from the 21st Independant Parachute Brigade on Landing Zone “Z”. This Brigade was also taken care of marking the Landing Zones (Z), by Eureka beacon transmitters for the landings and droppings, which were coming afterwards. Watch the several parachute supply containers in the fore ground. The transport of heavy weapons, like the 17 pounder anti-tank cannons, jeeps, also the radio jeeps, transport carriers (bren), went by the Hamilcar- and WACO gliders. These Hamilcar gliders could even transport little tanks if nescesairy. But these tanks were not in use at Arnhem. Here a picture of a Hamilcar glider, which got damaged at his landing. At the back at the right another Hamilcar. 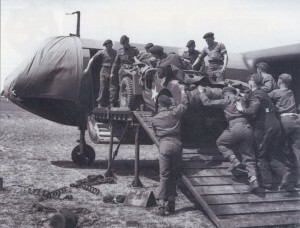 The Horsa gliders were almost only used for the para’s and their weapons, ammunition, medical supplies etc., but often too to transport a Airborne jeep and trailer with only a few men, because of the weight. The C47 Dakota planes, from the 9th Troop Carrier Command, were also used for dropping the British Airbornes in the northern Market part. The Dakota planes also dropped the para’s of the 101st Airborne division and the 82st Airborne division in the southern part of the Market part. 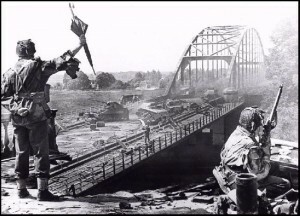 This was the bridge at Arnhem, where it was all about. 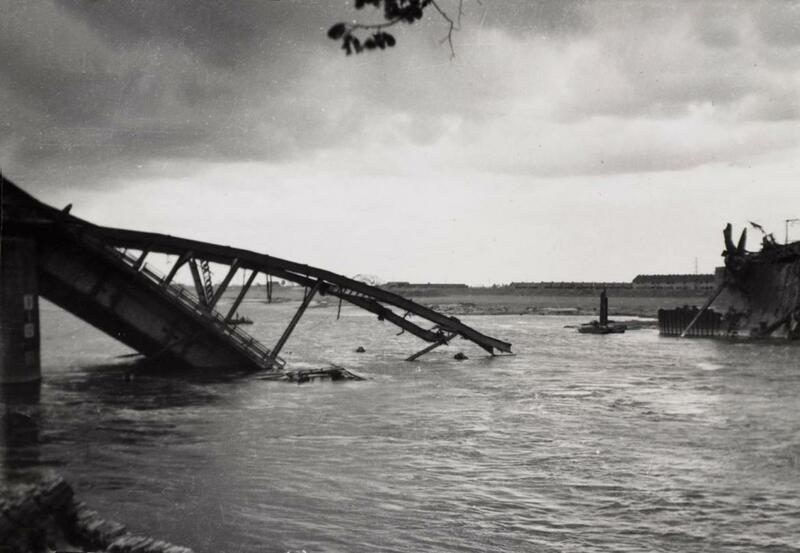 The British 1e Parachute Brigade, the 2nd battalion of Frost, managed at last by the southern route along the Rhine boarder, which was not fully sealed off at that moment by the Germans, to capture the north side of the bridge and managed to hold it with 740 men, for only 4 days. Trying to cross over the bridge by the British was failing. Picture from the bridge, taken from the north side. This after the first attempt of the Germans, taking the bridge from the south, with the help of armoured car vehicles. This is a picture scene from the film,” A Bridge too Far”. Typical British , the soldier holding the umbrella in his hand. Here the bridge, which was demolished by allied air attacks in October 1944, to prevent the Germans of taking counter attacks to the southern part, which was now in allied hands. Most of the left British, in the perimeter at Hartenstein, did already crossed over the Rhine by Operation Berlin. Picture probably taken in 1945, after Arnhem was liberated. The Wireless set no 22. 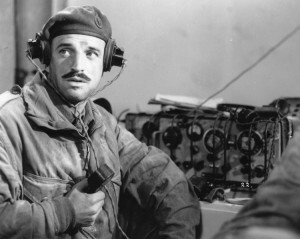 The wireless operator with the Wireless Set no 22, during the battle. I never have seen an original picture of a Wireless in action during the battle in the first hours, who does? 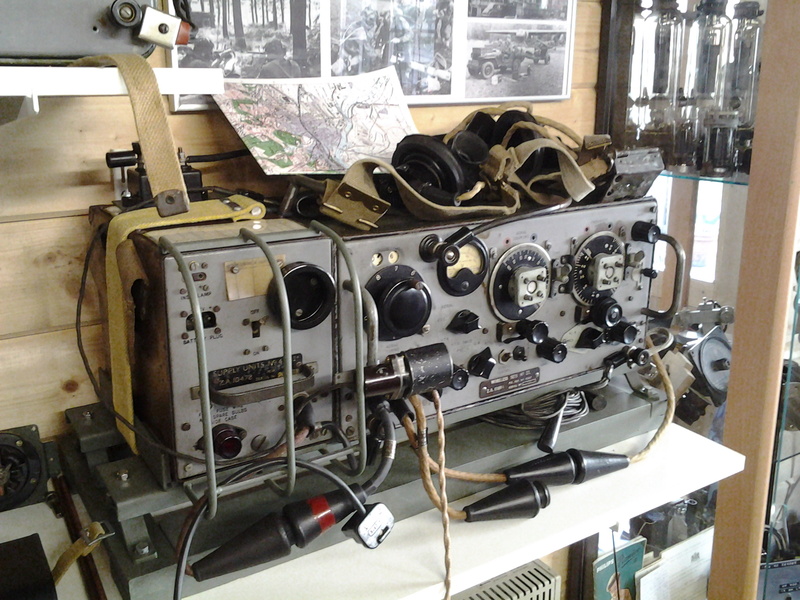 The Wiireless Set no 22 was an important radioset, used by the British Airborne Troops in this battle. 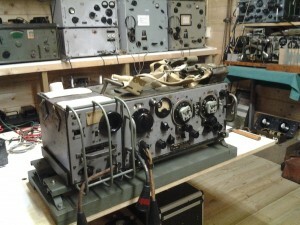 Often the radioset was described as a bad working radio set, because communications between the several brigades and divisions during that battle was often not well. Often they blamed not only the technical side of the radioset, but also other reasons. Also suggested in the film: A Bridge too far (1977). But is this realy true? My opinion is not. There were a great deal of reasons, why the communications between the several brigades and battalions often failed. Let’s consider the whole operation proceeded like the plans made for it. The communications, which should working well in their ranges between the several groups, the limiting range was 3 to 5 miles, depending on which radio set was used, went by different radio nets at different frequencies. At all levels, the frequency of the radio nets should be well known. Immediately after the landing of the first lift, air landings from the 1st Parachute Brigade, the 21st Independent Parachute Company and the 1st Airlanding Brigade, on 17 september, the decision was made to be as mobile as possible, so the radio net consist only of wireless sets no 68 P. The radio net was at 16.07 hour just like the above part in the diagram. These contacts formed the Para Report Center. The division headquarter was in the woods near Landing Zone (LZ) “Z”. There were no other types of wireless sets like the Wireless set no 22. With the second lift, at 18 september, 14.15 hour, the setup below in the picture, was planned. In this lift the 4th Parachute Brigade and the 1st Polish Parachute Brigade were flown in, however delayed for 5 hours. In this landing, the gliders brought other Wireless sets with more power output, like the Wireless set no 22. 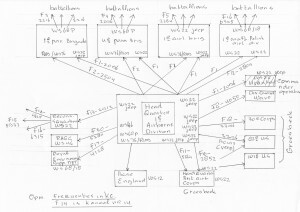 In the setup diagram below, I made a drawing of the radio nets of my own, using several data from different sources. It is quite complete with frequency numbers/frequencies for the various brigades etc. 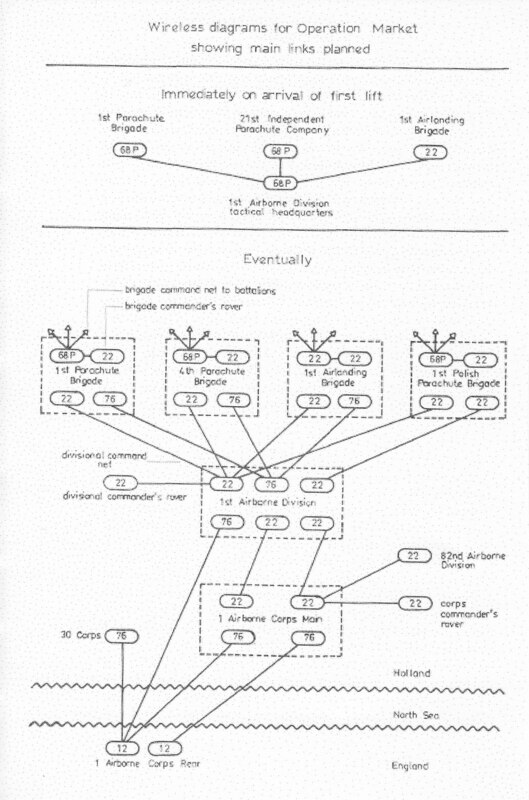 Although there are several publications of these radio nets, I think this setup is very correctly. But is was the planning of it in England, after a few day most changed because of heavy casualties or loss of radio material due to the unexpected heavy German resistance. Lot of links did not function anymore. Note: also the Wireless set 46 was in use. 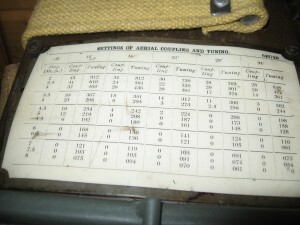 The Wireless set no 22 should be used often in the radio jeeps of the various brigade nets, to make contact with the Divisional Command Net, because of their larger range of 5 miles. The WS 68 P was used for contacts from the Brigade Command Net to the battalions, because the range between them was smaller at about a maximum range of 3 miles. 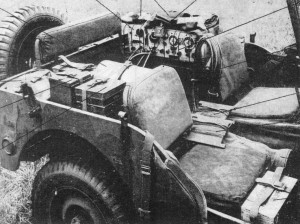 Also the commanders (Urquhart) had a separate Wireless set no 22 (rover set) for contact with the Divisional Command Net in a radio jeep. Also a communication line with the Airborne Corps in England, and the Head Quarter of the British Airborne Corps at Groesbeek. These went by the wireless transmitter WS 76 in morse code. Wire antennas, for sky wave, were used. And all that in these various radio nets with a lot of different frequencies between 2096 Khz and 6345 Khz. So it needs a good discipline, letting these nets working well, so to use the correct frequency in those radio nets. The communications should work well in that way. The radioset was providing low power, but that would be no problem, because the distance between the groups with the WS no 22 and other portable radio’s, would be small. The range of the radio’s should be sufficient. Airborne Signal troops are trained and supposed to operate in small perimeters. The WS 22 should have a range of 5 miles, the range for the WS 18/68 up to 3 miles. Just good enough for airborne operations. The progress of all groups, in marching on to the bridge would be well, because they did not expect much resistance of the German troops there. Of course airborne troops depend on speed in their operation for making the operation successful, they are not heavily armed, and they depend on artillery- and air support. So a quick advance is most important in succeeding, so the good functioning radio nets. So all would be a success, when everything would go just according the plans. When reaching the bridge, they had to capture it and hold it till the other allies from the south soon were arrived. This was what they had in mind. But the communications did not often work very well in practice. This because, the whole operation did not go well. Also some tactical faults and misunderstandings about the ranges of the radio’s at larger perimeters then expected, where the Airbornes had to operate in. There were many reasons, why. One of them, was the unexpected heavy resistance, counterattacks of the German army after a one day, and then as a result of it, the fall out communications because wireless operators were killed or their radios were damaged. These German troops were much larger then expected, also well armed, great amount of armoured vehicles and even tanks were in use, which was not all known by the allies, or were not taken seriously? Information about these came also from the local resistance. Even air pictures were taken. But still not taken seriously? So a quick advance of most of the airborne troops, which was very important, was delayed They only had to hold the bridge for a couple of days, when the rest of the allies came soon at the south part of the bridge. The delay of marching on was too large with a lot of casualities and losses of material. The effect of speed was gone! And then an Airborne Company becomes in a great dangerous situation, when they have to fight constantly with their light waepons, against the german troops with their armoured cars and even tanks. 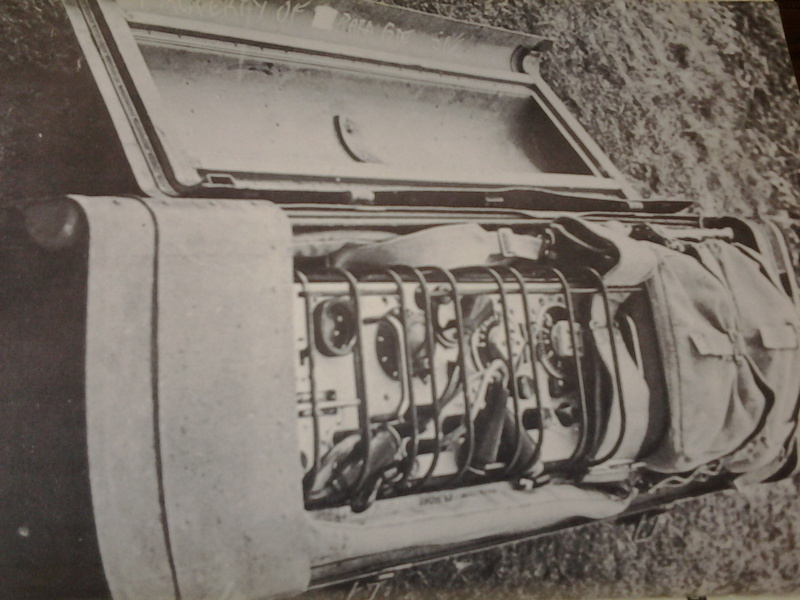 Because of the heavy unexpected resistance of the recovering German troops , already after one day, many radio jeeps, with the WS 22 at the back of the jeep, also the portable radiosets like WS 18, WS 68, were destroyed. Also a lot of well trained radio operators were killed. There were none or very small replacement for them. So several important links between the several nets did not function anymore. Mind that the wireless operator was the only one who was trained and can netting the wireless sets to the correct frequency in a radio net! Eeach radio net had there own type of radio’s, wireless operators were trained on these radio’s. The could often not work with other different radio’s of other nets. 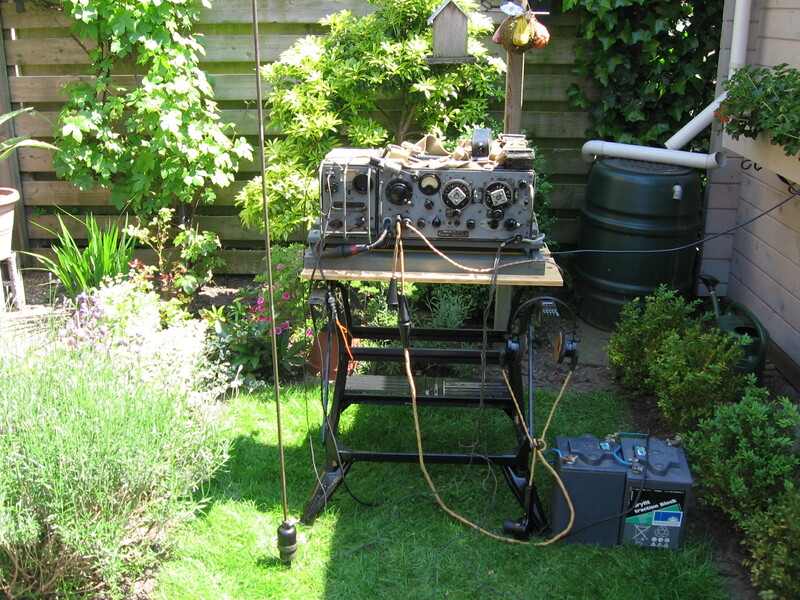 For instance the radio of the Artillery, the WS 19 HP. This group had their own wireless operators, which were trained on this set, etc..
Also the the Division Command Net, had no contact with the 1e Para Brigade headquarter . So the commander (Urquhart ), who was in this net with a WS 22. Also the planning and setting up of the radio nets in England were, by lack of time, not precise. The frequencies of the nets were for a great deal, not tested . 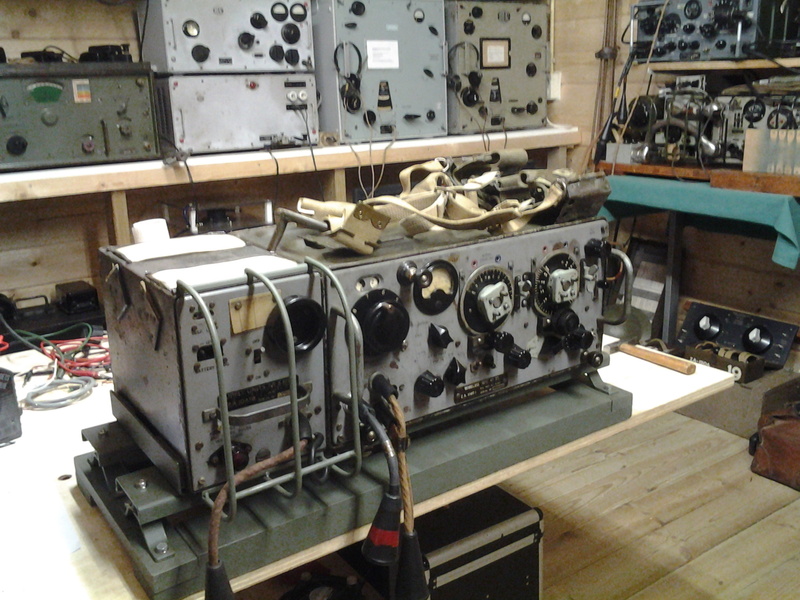 Training exercises in these communications in the UK showed that these were working pretty well, as long the radio sets, like WS 22 and WS 18/68, were used on the limiting ranges of 3 miles for WS 68 P and 5 miles for WS 22. When ranges became larger, at Arnhem ranges became larger, and especially in surrounding with buildings, trees, they did not function anymore, the communications failed. These failures showed up also in the landing earia in Italy, where ranges became larger. Airborne troops are trained to operate with these radio’s with these limiting ranges of 3 to 5 miles, not in expanding perimeters. That ranges at Arnhem were larger, was known by the Signal divisions, but were ignored by the Staff? The distance from the Division headquarter to the bridge was 8 miles and to the Corps Head Quarter at Nijmegen was 15 miles! It was known, it was explained, it was recognised, it was accepted, such was the urge to get on with the operation. Radio’s with more power could be a solution. in increasing ranges. But there were no replacements for the radio’s so close before the operation, because radio’s with more power did have a bigger size and weight. Size and weight were limited in this airborne operation, because of the limited available airplanes and gliders for this operation. And do not forget, that the wireless operators had a training for those lightweight and less power radio sets, time was not there to train them eventually for these other radio’s. They finally hoped and expected (! ), that resistance was very less, and that when the bridge was captured fast, most of the troops were also already in close perimeter to the bridge, so the ranges were sufficient for the communications. But at Arnhem, it packed out all different. The distances between the several units became also large because of unexpected circomstances. The range of the radio’s was ment for a maximum range, as described above. The increasing ranges became often not sufficient for making contacts with the troop ahead. Also the surroundings of the terrain effected the range of the radio’s. 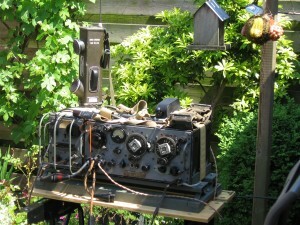 For the Rear Link nets, communication with the 30 st Corps at Groesbeek and headquarter at London, e.g. WS 76 transmitter, the crystals were often defected already or after a few days destroyed with the transmitters by heavy fire. The problem with these crystals was, that frequencies of the radio nets were planned frequencies for day and night time, just for all the 24 hour. Crystals for daytime were the higher frequency ones. During night time contacts the lower frequency crystals should be used. And that for frequencies according the plans. Why : to get the most increased range, e.g. London, according the frequency range of the equipment, e.g. WS 76, you have to transmit at higher frequencies (above aproximately 5 Mhz) at daytime. Sky wave range is big. So sufficient range for base stations in the UK. At night, you have to use lower frequencies (aproximately from 1,5 Mhz till 4,5 Mhz) for maximum range by sky wave, to reach London. But the crystals went often defected. Resupply of these crystals, for instance daytime crystals, became mostly in enemy aria. So they had to use night time crystal at day time, what did not function. Range was poor, not sky wave but ground wave. The problem was, that the WS 76 transmitter could function only at crystal control, so the crystals had to be used, so fixed frequencies. So in this new situations, contacts with London were very bad after a few days. Often the various brigades etc. were not always in the same radio net, they used to be in, each radio net had their own frequencies. Also, sometimes the frequency of the crystals to be used for some radio transmitters were not the same as the frequencies of the to be used radio nets. 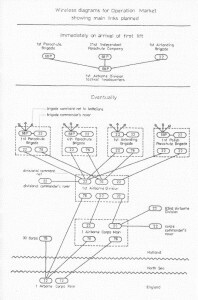 An example was the Division Command Net with the the Reconnaissance Squadron Net, which was never meant to be in the same radio net, although they thought, they were. The plan was, that the 1e Parachute Brigade should defend the captured bridge The 1st Parachute Brigade landed about 8 miles away from the bridge and had to walk on foot to the bridge. The Reconnaissance Squadron, however, landed first on 17 September, under commander Major Gough. They should take the bridge so very fast, that the element of surprise was not lost. This by using 31 heavy armoured jeeps. They should soon be followed by the the battalions of the 1st Parachute Brigade on foot. When arrived, they should take over for the captured bridge. Then waiting for the 30 st Corps. This Reconnaissance Squadron was under command of the 1st Parachute Brigade, and became a “coupe de main” role. Speed was necessairy. When the Reconnaissance Squadron should reach the bridge, they should capture and hold it, till it should be released by the 1e Parachute Brigade under Brigadier Lathbury. So they soon started after their landing on the Landing Zones at 17 September, for the bridge. The role of the Reconnaissance Squadron was to be of the utmost importance to the success of the whole operation, capturing the bridge, this by the effect of surprise. They soon started the way to the bridge, while the 1st Parachute Brigade started later going to the bridge. The commander, General Urquhart. who stayed behind at his headquarter at Landing zone Z, he was in the Division Command net, could not establish radio contact with the 1e Parachute Brigade in this net, so no information about the progress of the operation. The Brigade started soon after the landing for the bridge. The should use a more powerful WS 22 for contact with the Division Command Net. But without allowing sufficient time to open the WS 22, they headed for the Bridge with only the WS 68 P, which had a more limiting range, then the WS no 22. When they got in the Arnhem surroudings, the range of 3 miles of the WS 68 P was to poor to make good contact with the Divisional Command Net at the LZ, e.g. General Urguhart. Also the buildings and trees absorbed the signals, so influenced the range. With the help of the WS 22, it could be functioned. Besides not using the WS 22, this WS no 22 was later earmarked for another task. The 1st Parachute Brigade had expected to receive four WS 22 sets, namely one for use in the Divisionel Command net, one for the Brigade Commander and two spares. In fact the glider containing one of the sets not arriving and one of the others was destroyed by enemy fire during the fly-in, so only two sets arrived intact. The brigade commander took one of them for his rover set. and the signals officer intended to put the other to the Brigade Command Net to the 1e, 2e and 3e battalions at the first halt, because he had then a more powerful radio set then the WS 68 P.
Also the following rumor reached Urquhart. The rumor, which seemed after all not reality. 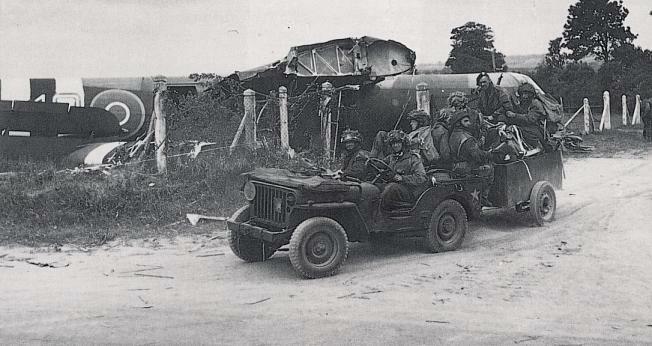 The safe arrival of the squadron gliders of the Reconnaissance Squadron, carrying a total of 31 jeeps, which were essential for the “coupe de main” force to the bridge, were damaged by crashes of most of the gliders. In reality only 3 jeeps were damaged at the landing, so 28 were there. But this was not told to him. So he thought, that the progress of the Reconnaissance Squadron had scattered. So the effect of reaching the bridge fast, should has gone. So he wanted to make immediately an alternative plan with Gough and the plan that Lathbury should be told that his 2nd battalion, under John Frost, was now going hell-bent for the bridge alone. He decided to go, with a chauffeur and radioman in a jeep with a WS no 22 radio set, to the Arnhem aria to do so. On his route his wireless operator was trying constantly to make radio contact with the Reconnaissance Squadron. But unfortuniatly the the WS no 22 in the Division Command Net was not in the radio net of Gough. They had a radio net of their own. These nets had different frequencies. That was a an unexpected mistake, which was not planned and got a big influence on the progress of the battle. Because he could not make of course, radio contact, he left the jeep at one moment and went by foot, to look after Gough. He did not manage to reach Gough because of heavy German resistance. When he came back, he saw that his his jeep was hit by mortar fire, the radio set, a WS no 22 at the Divisional Command net, at the back of his jeep was damaged and did not function properly. The wireless operator was badly wounded and was being removed by stretcher-bearers. So ended an attempt of establish radio contact over a radio net which was never meant to exist. If signals had failed it was through a missue of signals. But general Urquhart did at least found brigadier Lathbury, commander of the 1st Parachute Brigade, who was with the 3th battalion at that moment. With his radio set, he contacted the Division Headquarters Net, which informed him of the progress of the 2e Battalion to the bridge. Reception was spacmodic and difficult. At about 21.30 at 17 september, just before the radio failed, the brigadier told him, that Frost’s 2nd battalion did reach the bridge. The supplies, which were dropped, did not reach always the troops. So, spares were not there, for instance weapons and other like the replacement of crystals for the radio transmitters. Also replacing damaged radio material was scattered. Also supplies, although they were dropped on the right DZ’s, did not reach them, because these original and planned dropping zones were fallen into enemy hands already, which was not known at that moment. Only 13 % of the supplies were dropped correctly. A lot of radio jeeps were damaged by the heavy German counter attacks. So the generator sets, also at the back of the radio jeep, for charging the radio batteries, often were damaged and not functioning anymore. So the radio sets did not have anymore battery power after some time, if still the radio sets were in working condition at that moment. In that case , if possible, they used the vehicle batteries of damaged jeeps, but when, some time later, these were discharged, and it was over and out. Airborne radio jeep with WS 22. In the middle at the back of the jeep, the generator. Also some radio batteries and antenna wires. Wireless set no 22, dropped in a special container. This container was attached to a parachute, then dropped out of the airplane to the dropping zones (DZ). Also the terrain with many hills and woods in the neighborhood of Arnhem and Oosterbeek, were effecting a secure communication, especially for increased distances. It was also recognized in the training excerscises with the Airborne troops in the UK, before the starting of the battle. So were the portable radio’s, with even less power, like WS no 68 P and R with only 0,25 watts. The range of the WS no 68 was 3 miles with rod aerials on speech. Especially the WS no 68 failed in good communication in these surroundings, while another radio set in use, the WS no 18 was some better. This due to the frequency of the the WS 18, which was higher then these of the WS 68 and because the rod earial was mounted on a base on top of the case of the transmitter, while the aerial of the WS 68 was at the leftside of the case. Power of the WS 22 was also low, only 1 Watts. The range was 5 miles on rod aerial, on speech. Much radiation of the signal was also absorbed by the surrounding, The antenna was mostly a whip /rod aerial at the back of the radio jeep. But also wire antennas were in use at a stationary post. These were suitable for sky wave contacts for bigger ranges to Nijmegen. The rod antenna was a vertical one. The radiation was easy absorbed by hills, trees, sandy surface and buildings etc. These contacts were so called ground wave contacts, only suitable for short distance. The maximum distance was expected about 5 miles for the WS no 22, now because of these surroundings just 2 – 3 miles, in fact most distances seemed to be 10 to 15 miles from the Division Command Net at the LZ to the troops, who reached Arnhem. Only the Rear link communication with the headquarter in London and the 30st Corps in Groesbeek sometimes worked well at the beginning, because of their horizontal wire antennas (inverted L-antennas) and most radio’s and their crystals were still functioning. 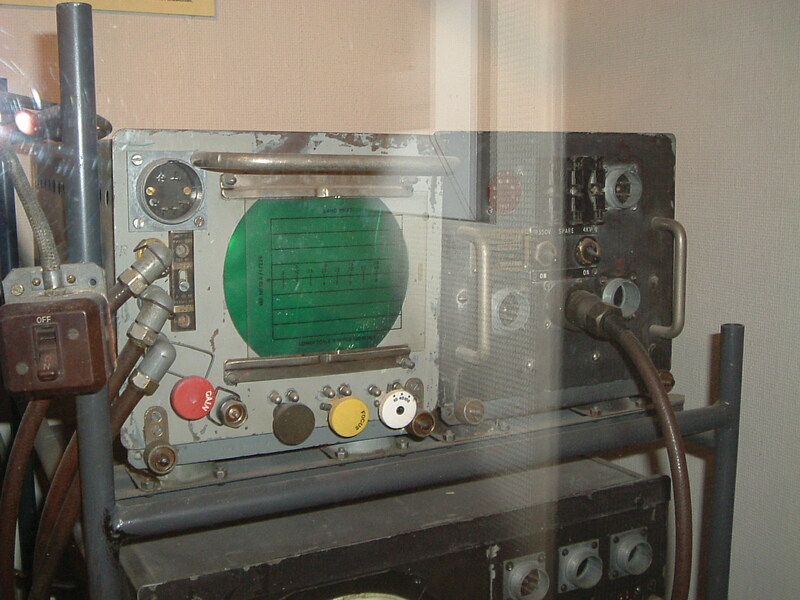 The radio sets were the receiver R109 and the transmitter WS 76 on CW. But after a few days, most of these radio’s were destroyed by enemy fire. 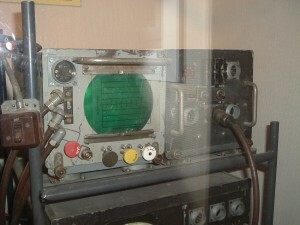 The Wireless set no 76 and receiver R 109 were also in use in a different radio net by the “Public Relation” group for reporting to the BBC in London. This contact was mostly well working. The contacts were made by the Royal Corps of Signals, the Phantom regiment. The Phantom regiment used NVIS. which stands for Near Vertical Incidence Skywave methods. By NVIS the radiated signal from the transmitter was nearly almost going totally vertical upwards and was then refected by the ionosfeer above towards to earth again. The advantage was, that the dead zone was very less, so you got a much better contact with stations at a distance of about 100 till 150 km. Just about a little from the landing zones to the 30th Corps at Groesbeek, south of Nijmegen. 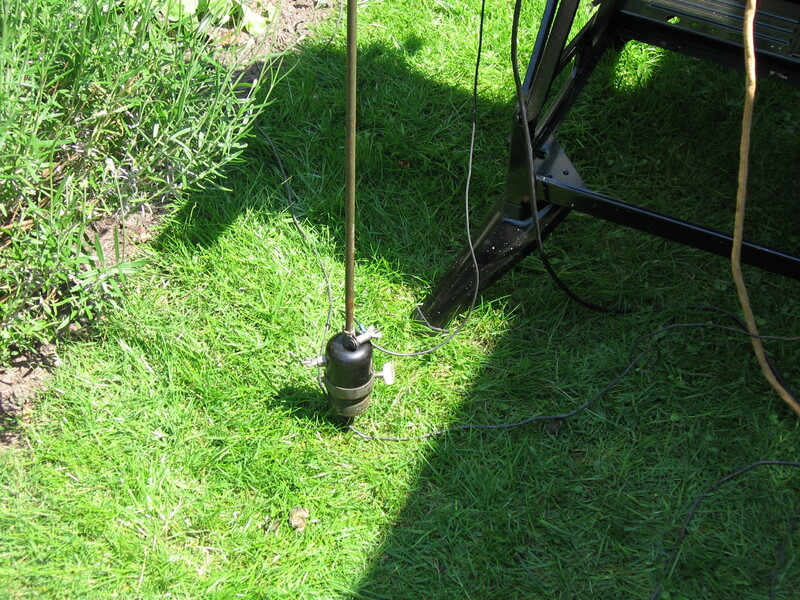 Using a dipole antenna, the dead zone was mostly larger, depending of the height of the antenna, time of day, season and the used frequency. If the dipole had a height of at least a quaerter wave, the most radiation establish a larger dead zone. At a frequency of for instance 14 Mc, it is very large and has a distance of at least hundreds of km’s. A dead zone means: the distance between the startingpoint(antenna) and the point where the relected signal comes back for the first time to earth. sed, because of the increased power, it was less critical and worked well. A critical note about the range of the Wireless set no 68. The range should be 3 miles. But this was in ideal circunstances. In open terrain, no woody terrain for example. The set was a manpack, at the back of the soldier. It used a vertical aerial. In this position, the maximum radiated energie depends on a good capacity between the set and earth. That is a electrical law. The capacity to earth in this case, was of course no counterpoise or else, but the body of the soldier. Suppose, you match the vertical ( a provision on the set was there, to do so) in a fixed position of the soldier to maximum aerial current on the meter of the set. The range might be 3 miles, depending how large the capacity was at that moment. But, because the soldier is on the move, sometimes laying on the ground, because of enemy fire, a big mismatch could occur, because the capacity to earth is changing very much. In practice, in war circomstances, you don’t rematch your earial all the time. You don’t have the time often. So the range, in practice, decreased often. So staying close together, communications should work well. That is why, the Reconnaissance Squadron took a big mistake by using the WS 68 in a rush, instead of unpacking and installing the Wireless set no 22 on the to be used jeeps. But, as mentioned before, there was a lack of WS 22 at that moment, maybe the officers made that wrong decision, of using the left WS 22 (2) for themselves, instead giving them to the Reconnaissance Squadron Or there was no other way, doing so? The steel body of the jeep was a much better and more stable capacity to earth. And, of course, its power output was more. So communication with the Divisional Command Net, at the Landing Zone, and other WS 68 man packs should function much better. And distances became larger, because of reasons mentioned before. So in fact, the proper function of the WS 68 scattered, not of technical reasons, but because of the reasons above. Maybe, if these signallers were radio amateurs in their civilian lives, they should understand these problem? 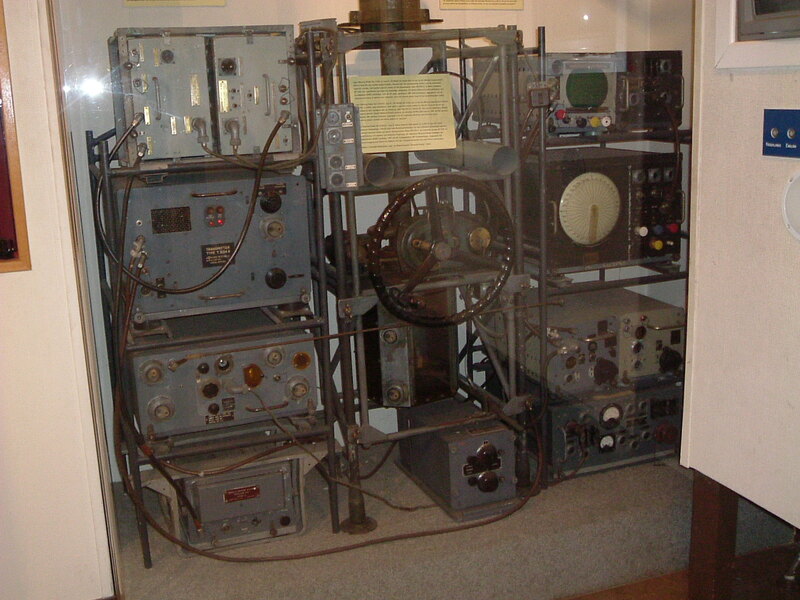 So it was not the technical condition or design of the Wireless sets, which established the often failing of the radio nets, but it was a complex amount of many, many other reasons, described in the text before, and constantly changing situations because of heavy, unexpected enemy resistance. I tried to give an explanation in this article, why. While, as said before, very negative, unexamened publications in several articles after the war, which was not really true, also explained by the auteur Lewis Golden in his book. Here some original pictures of scenes during that battle. Pictures taken in the perimeter around Hartenstein Oosterbeek in the last days of the battle. Also some pictures of the landing strokes, where men were busy in unpacking the supplies out of the gliders. To be seen pictures of the transmitter WS transmitter no 76 and receiver R109, a WS no 22 picture from the film “Theirs Is The Glory” made at Arnhem just after the war. During making that film, surroundings were almost still the same way as during the battle, because all the buildings were still damaged so close after the war. Arnhem was like a guost town with all these damaged houses etc. Also to be seen General Major Urquhart, commander of the First British Airborne division, in front of his headquarters in the perimeter around Hartenstein Hotel, Oosterbeek near Arnhem. And a picture of Hotel Hartenstein in that time, which is now the Airborne Museum at Oosterbeek, delicated to that battle. Below the discription of other very important radio contacts, for increasing the succes of the battle, used during the battle. At 17 September,together with the 1e Airborne Division, 2 American Air Support teams with 2 “Veeps” were dropped with them, by 4 WACO gliders on the landings Zones Z near Wolfheze. The landingzone X was the first plan, later changed to Z. A Veep means a radio installation at the back of a jeep, consisting of a SCR 193, transmitter BC 191, a receiver BC 312 for HF , and a VHF SCR 542 transmitter . These teams got their training, just one day before the operation started. 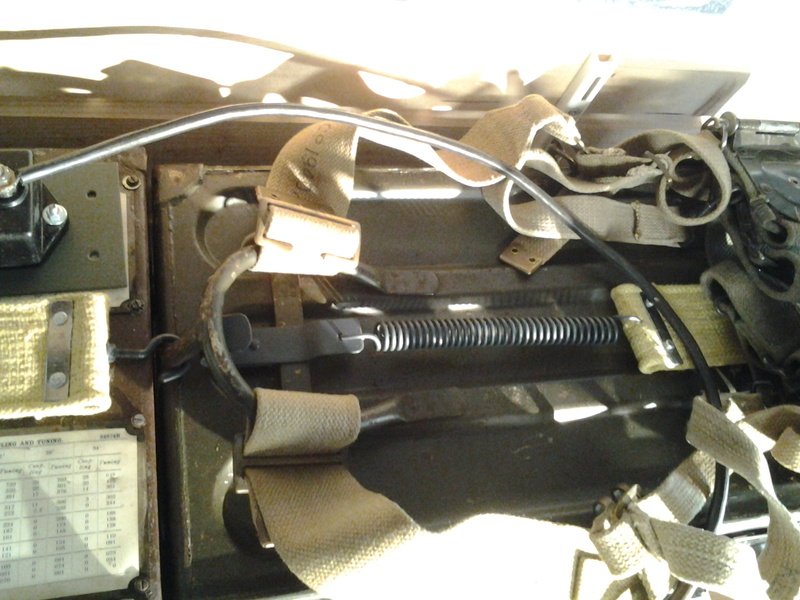 These VEEPS were used for Close Airsupport to the British Airborne Corps and in making contacts with the 82e (US)- and 101e (US) Airborne Division at Groesbeek But unfortunately the frequency of the BC 191 and BC 312 , could not be tuned at the frequency of 2968 Khz of the to be used radio net. Also with the VHF SCR 542, they could not make any contact with airplanes, flying over. Because of different radio crystal channels? So effective airsupport during the operation was missing. Only the last day of the battle , by improved methods, an air support came through, this by the Phantom brigade. Later on these Veeps were destroyed by the heavy enemy fire in the neighbourhood of Hartenstein, Oosterbeek. The problem was, that these radio’s could not dug in, like other radio’s, like the WS 22. Power consumption was that much, that even the motor of the jeep had to run, for the power consumption. 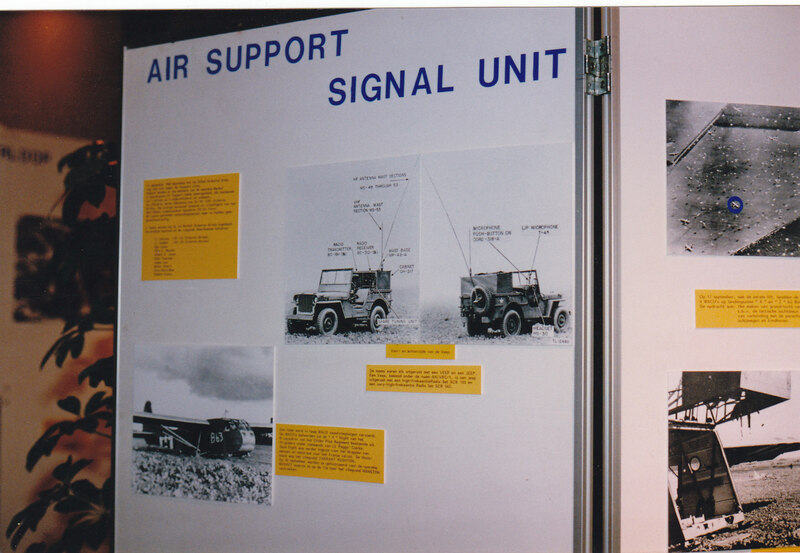 Some pictures of a VEEP, displayed at a exposition at Hartenstein Airborne museum in 1991.
ition of the landingzones, an Eureka/Rebecca installation was used. The Eureka mark 2 beacon used at Arnhem was the type TR 3174 with 5 channels at around 220 Mhz. The Eureka was dropped together with the 21e Independent Para Brigade. This Brigade had the task of placing the Eureka transmitter on the Landing Zones. A kind of Pathfinder group. These Eureka Rebecca’s worked well at the first day. After the landings, all were destroyed. So not any one got into enemy hands. The Eureka transmitter receiver was switched on at the Landing Zone, and was in that way, marking the position of it by its radio signal. At some airplanes , a Rebecca transponder with indicator unit with optical screen (CRT) was placed. With the figure on this screen, the airplane could navigate to the right position of the landing zones. With some types speaking to each other was possible. 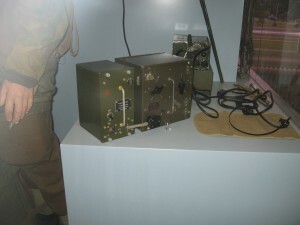 Eureka Mark 2 beacon, at display in Hartenstein Airborne Museum in Oosterbeek. The AMES TYPE 6 Light Warning Set. In the planning of Market garden, they knew, that the Airborne troops were a easy target for German enemy fighter planes. There fore, plans were made, to make a long air landing strip of 1000 meters near Nijmegen for Beaufighter planes and eventually night fighters. To leadl these planes, a RAF Ground Controlled Intercetion (GCI) radar station was needed. Already in 1941, the British TRE started to develope mobile radar installation with a range of 50 miles. In 1942, socalled Light Warning Sets (LWU) were made, which fitted in 3-tonner or CWT freight car. With the help of the Air Ministry, also LWU and GCI were developed for airborne use. So 2 LWU’s and a GCI set with personel were placed in the 38 Group RAF and under command of the headquarter of the 1e Airborne Corps. At 17 december, these installations should be dropped by gliders near Nijmegen. However, later that day, the location was changed to the landing Zone “X”, near Wolfheze at Arnhem. At day “3” of operation Market garden, the 878 st (US) Aviation Engineering Battalion would make a landing with gliders near Wolfheze, to establish this landing strip. The 2 LWU’s should be delivered also with these gliders. For each LWU, 2 gilders were needed. One LWU (no 6080) with 9 men personnel, had to be carried by 2 Horsa’s. From one Horsa (chalk Number 5000), the towing plane, a Stirling, was hit and crashed near Opheusden. The glider landed near Hemmen in the Betuwe. Because the right landing zone was missed, the installation part, which formed a complete installation with the other part in another glider, could not be used and therefore it was destroyed. The second Horsa, Chalk Number 5002, with the second part of the first one (LWU 6080), landed at Landing Zone “X”. but was soon hit by enemy fire and was very damaged. The second LWU, no 6341, with 14 men personnel, also got lost. 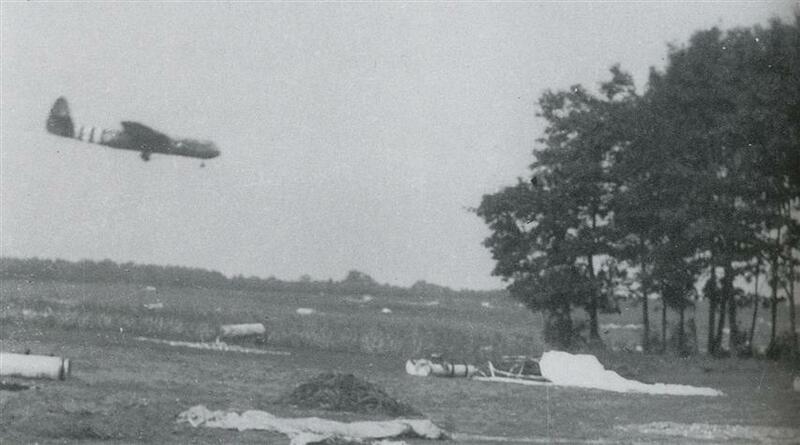 One Horsa, with the first part, was hit during the landing and crashed near Dodewaard. The second Horsa, with the second part, landed correctly at the landing Zone. But, because of the loss of the first part, they had to destroy it too. So the use of Light Warning Sets near Arnhem ended into a disaster. 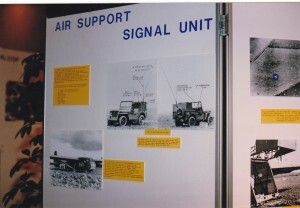 Above a picture of a Light Warning Set, AMES Type 6 ( AMES, type 6, means Air Ministry Experimental Station type 6), displayed at the Hartenstein Airborne Museum at Oosterbeek, many years ago. It was a loaner and almost complete. Unfortuniatly, it is not there anymore, just like other important radio’s like WS 22, WS 76, R109, since the museum was overhauled some years ago. The PPI of the radar part of the LWU. AT his display, cathode ray tube, positions of airplanes in the neihbour hood could be displayed. 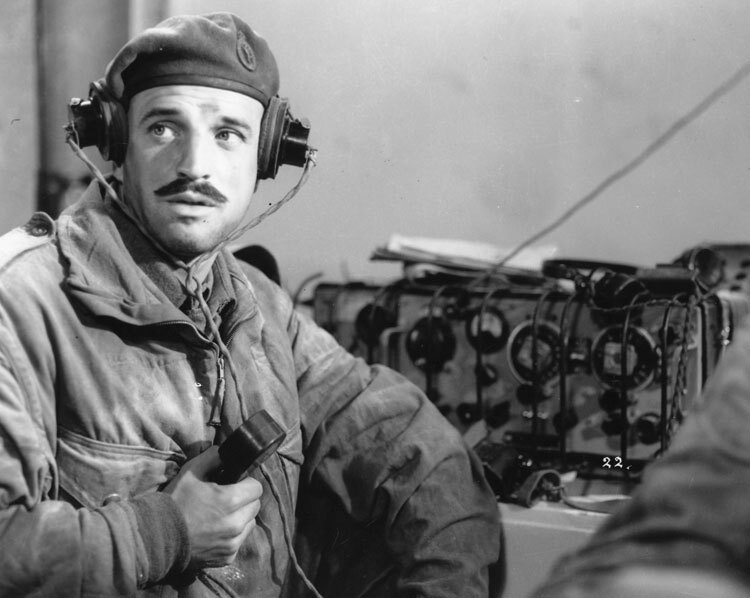 So far the the story about the radio communications in this Arnhem edition. My Wireless Set no 22. This my Wireless Set no 22 in working condition. WS 22 view, left the power supply and right the transmitter – receiver. Wireless Set no 22. Providing only 1 Watt output power on phone and CW. 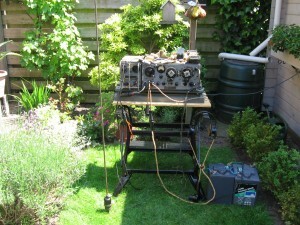 As a licensed radioamateur I used the WS 22 on phone with much succes in the 80 meters amateur band, all through the whole Netherlands. Even on the new 60 meter band, (5350-5450 Kc) also, though only with 0,5 watts output. Of course with the help of a dipole antenna. It is amazing, what such less power will do, thanks to the good modulation. On this picture, I want to show the very rare belt on top of the set, for fastning the set on his carrier mounting. Because very less pictures are known of it. It is a copy due to lack of the original one, but well made. Left on the power supply a tuning chart for matching the whip antennas according the lenght of it. Here I am working with my Wireless set no 22 with an other radio amateur in the 80 meter band, using my 20 meter dipole antenna. Some experiments with the WS no 22 in the back of the garden of my house on a beautiful sunny day in June 2015. See pictures below. I wanted to test the WS no 22 on battery supply (12 volt – 150 Ah for sufficient power) with a 22 inch vertical aerial on 80 en 40 meters. The aerial consisted out of 5 sections type F- rods. Each rod section is 4 inches long, so a total lenght of 22 inch. I used the the original counterpoise of the set and the original aerial base stick. type no 11. The experiment was how to see, if the matching data of the aerial to the WS no 22 was correct, just like written on the tuning chart on the power supply. It seemed, that it was just the same as on the tuning chart. At day time, it was summer propagation (! ), there was few to hear on 80 meters., just lot of man made noise. On 40 meters is was better. Some Single Side Band stations and many CW stations could be heard very clearly. Afterwards I connected my 20 meters dipole antenna, by means of a symmetrical tuner, to the WS no 22. Signals on 40 meters at daytime became much stronger now. Only no contact was made, because of the low power of only 1 watt, HF output, however. But the experiment was a succes. Also sitting in front of the set, in this sunny position, and listening to the CW stations, was very nice. The tuning chart for a vertical rod aerials of different lenght. On this chart is to be seen that for the frequency of 7 Mc, a lenght of 22 inches (5 sections of F type rods of 4 inches) the aerial coupling is zero, the tuning is 105. For 3,5 Mhz, the aerial coupling is 14, the tuning is 317. These values were almost the same as in my experiment. Just some digits difference. The WS no 22 in my garden. The aerial base stick no 11. 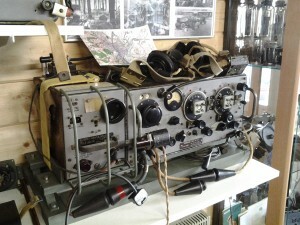 The Wireless set no 22, with the BC 611 transceiver. The Phantom regiment used NVIS!!!! I have seen that article already in the past. It is quite interesting, but a bit theoretical, I think. I use my experience as a radioamateur. The contacts at shortwave is one day better as the other day, also what time of day or year season, what frequency was used.. Sometimes, when you think, propegations are bad, suddenly the next moment everything changes. So high frequency is a very difficult thing, you cannot plan it. I think at Arnhem it was sometimes the same. Where 2 wireless sets at too large distance according their ranges, sometimes contacts went wel, the other moment not any more. So was the contact between the Hartenstein perimeter and the remainig troops at the bridge, At one short moment the had good contact, before it did not work for a long time. What do mean by NVIS, used by the Phantom regiment? I can’t finf that anywere, even on internet. Can you tell me? or does anyone knows it, pse put the answer in the comment, thank you very much. I now what NVIS means. I did not know the name, but I knew the priciple. The Phantom regiment used inverted L-antennas, like for instance the 100 ft aerial, lomgwire. These antennas gave better contact in a distance of 100 km or 200 km depeding on the used power etc of the tranmitter. The signal is almost going vertical and is reflected downwards by skywave. Other antennes, like a dipole at a height of a quarter wave is radiating more in a horizontal way, with maybe a so called dead zone, depending on which frequency is used. A dead zone is the zone where no or almost no signal is to be heard, especially large at for instance 14 Mc. The dead zone is between the starting point of the signal and the point, where it returnes after refection on the aerth. I think I’ve got a dropping container for the WS22 here, as shown on your website. It has been painted red inside and brown outside, looks quite complete / original though. I couldn’t find any modern day photographs of it anywhere on the web, so, I am trying to find out how rare it is. The round ones are very common. I do not know so very much about these containers. I think, they are rare. They were used for dropping supplies, weapons, radio’s, welbike motorcycles. I think the big ones for motorcycles and radio’s. the smaller round ones for supply material, weapons. Phantom = The British ‘General Headquarters Liaison Regiment’. This largely unknown regiment was provided as a means of giving military commanders more accurate and detailed information about the battlefield situation than could be derived from the normal signals units. Also the methods of operating took account of propagation characteristics; and much more sophisticated antennas were used so that communication was possible over far greater distances than were commonly achieved. There is a good book about Phantom, by Andy and Sue Parlour, titled ‘Phantom at War – the British Army’s Secret Intelligence & Communication Regiment of WW2′. This was published 2003 by Cerberus Publishing Limited. I know the story of the replacement crystals. My Dad took them and was commended for a medal for his bravery. Thank you for your reply. I have read, that replacement of crystals were not easy, under these circumstances. Especially of course in the last days, when German resistance became very strong. The repalcements, took it place by dropping them in containers at parachutes above the positions of them? Pse tell me more, if possible, about it. Maybe your father has told you about? Jim Gordon aka "Arnhem JIm"
I did examine your website too. Very interesting and much information. All what happened around Arnhem is most interesting for me. It is for me the most interesting from all WW2. 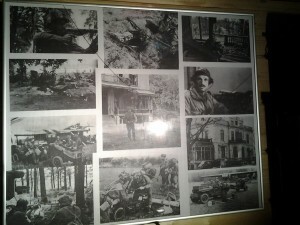 Thank you for publishing the “Arnhem Section” of my website on yours. 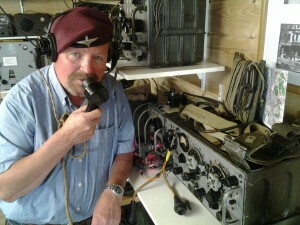 As a radio amateur I am most interested in the radio’s of Arnhem of course. I restaurated them and try them out. So the WS 22. It amazing, using a good antenna of course, You can work all through The Netherlands.So why it was told, the WS 22 was a bad working radio set? There were other reasons, which got influence on working of the communication with that radio set. They really do a good work, but of course techniques were different comparing it with today. Also the it is more busy in the air today. And interfering of noiselevels of all kind of (digital) sources are more then at that time. But nevertheless, you can make quite a distance with these old radio’s.